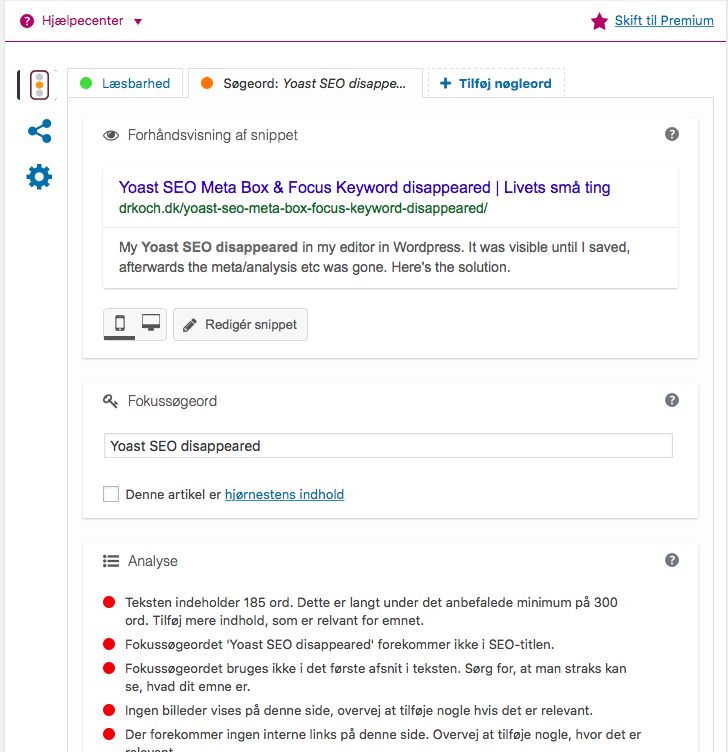 Some time ago the Yoast SEO disappeared and stopped working as it should on my website. The meta-information-box, focus keywords and analysis disappeared from my posts. Another issue was that you were not able to add new tags to your posts. One had no possibility to edit ones posts (Yoast SEO-wise) after the have been saved – either as drafts or published. After looking through lots of posts on different support forums I found that the suggested solution would be to disable all plugins. Go to the plugin overview. Select all and click disable. Obviously the Yoast SEO plugin should not be disabled. If it still does not work then contact the maker of SEO plugin (or try switching to a standard theme). If it works then continue to the steps described below. 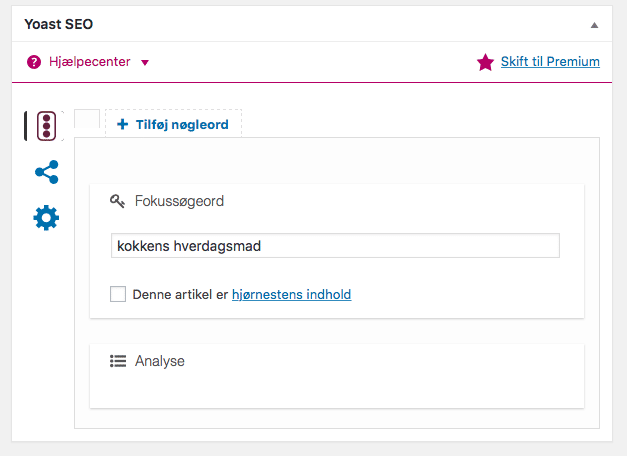 Go to the plugin overview again and start to enable 1-5 plugins at a time, and after each newly activated plugin reload your post in the editor to check whether the SEO box still appears normal. Suddenly, mine stopped working again. In my case it was related to the “Google Analytics” from Webdorado. I disabled it and now everything is back to normal.